Diana Miller has been at Miller & Zois for 11 years. 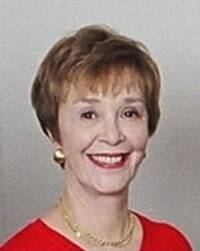 She retired in 2003 from Coldwell Banker after a thirty-two-year career in real estate. Diana is responsible for the technological affairs of the firm. Her mission is to make sure Miller & Zois is a leader in the use of technology to deliver legal services to the firm's clients. She has proven herself as a skilled problem identifier and troubleshooter who has found a way to utilize a wide range of technologies to improve what Miller & Zois can do to best service and update our clients. Diana has also helped our firm get to the forefront of using technology at mediations, settlement conferences and at trial so that we can present the best possible case. Diana lives in Ellicott City with her husband Jim and her dog Jack.